Fely grew up in Quillabamba, Peru, one of six children raised by a single mother. Although herself illiterate, Fely’s mother strove to give her children opportunities she herself never had. As a young adult, Fely left home to study agriculture in the Sacred Valley, where her path eventually crossed Ariana’s. While they come from different backgrounds, Fely and Ariana quickly became friends, bonding over shared experiences and values, including a strong work ethic. Ariana later shared her academic research with Fely, and the ideas she was forming about acting ethically and responsibly. Fely adopted – and adapted – these beliefs to a Cusco context. Now, Fely is the heart and soul of the Cusco-based operations of Apus Peru. She coordinates the office staff who organize trip logistics, book transport and hotels, and generally make sure that your trek goes off without a hitch. For many years, Fely balanced her work with caring for her two children. One is now a graduated lawyer, and the other beginning university. A long-time traveller and explorer, Ariana was pursuing a Master’s degree in the development of third world nations when she and Fely decided to found Apus Peru. Her research was deeply intertwined with the wellbeing of high Andean communities, and this informed her approach to starting and running a business that operated in these same areas. Originally from West Australia, Ariana has been travelling the world since she was a child. Landing in Cusco, something about this place grabbed hold of her and she decided to stay. Although she returned to Australia after the birth of her first child, after 13 years in the region, she still considers Cusco her second home. Ariana has explored nearly every corner of the Andes and is passionate about responsible tourism. While acknowledging that understanding and respecting another culture is extremely hard to do, Ariana believes that Apus Peru has successfully merged indigenous Peruvian culture with many Western ideas. The mother of two small children, she is learning that travel is just as fulfilling when adapted to their needs! We operate in a way that is sustainable: for the company, our workers and the environment. We act responsibly and ethically in our dealings with all stakeholders. We recognize that the client is central, crafting personalized, once-in-a-lifetime experiences for every individual. We give back. $20 per passenger is donated to community projects. Apus Peru Adventure Travel Specialists was born out of a love for Peru and a passion for adventure and the outdoors. 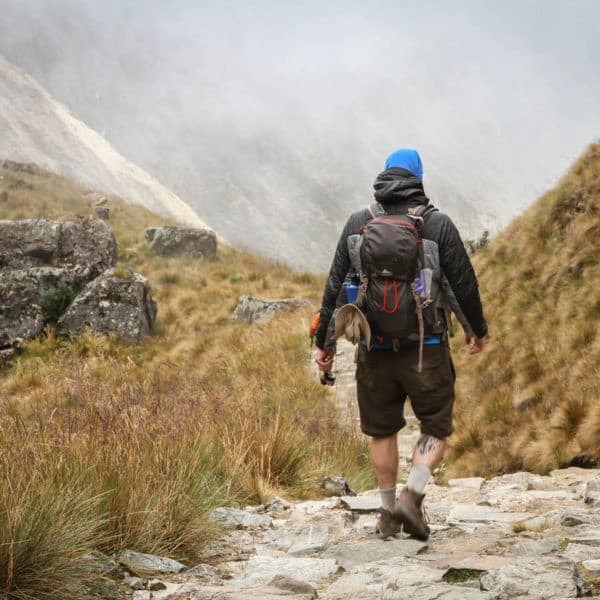 Long before we decided to form the business, we spent every spare moment heading out into the mountains, exploring new routes and deepening our knowledge of Andean culture. We founded Apus Peru in 2005. Our purpose was two-fold: to capture the spirit of discovery we felt every time we headed out into the mountains in our tours, and to extend the benefits of tourism beyond the narrow Cusco-Sacred Valley-Machu Picchu corridor. Although we love the classic routes, like the Inca Trail and Sacred Valley tours, we just knew that Peru has so much more to offer – and we wanted to share this with like-minded travellers around the world. We were also painfully aware of the exploitation that was rampant in the tourism industry, and knew we could do things differently. We exceed industry standards in every way, from pay rates to labour standards and sustainability practices. We also made a commitment to give back to the communities we trek through by hiring locals and supporting community development projects. We currently donate $20 per passenger to Threads of Peru, a Peruvian non-profit committed to women’s empowerment and cultural preservation. Like slow food, we advocate slow tourism – taking the time to absorb, enjoy and savour the experience of exploring new places. No matter how much time you have, we believe there is no reason you can’t leave the crowds behind and connect with the REAL Peru. 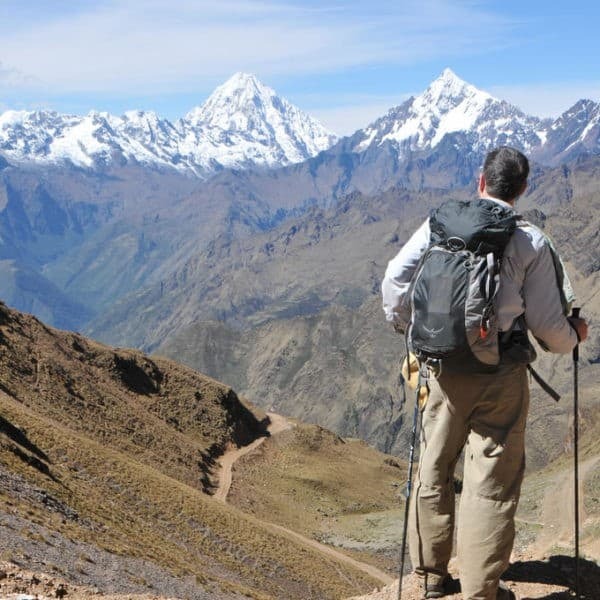 Our treks are carefully crafted, reflecting our personal experiences in the Andes. We take you places where few other agencies venture, giving you a glimpse of a rarely seen side of Peru. 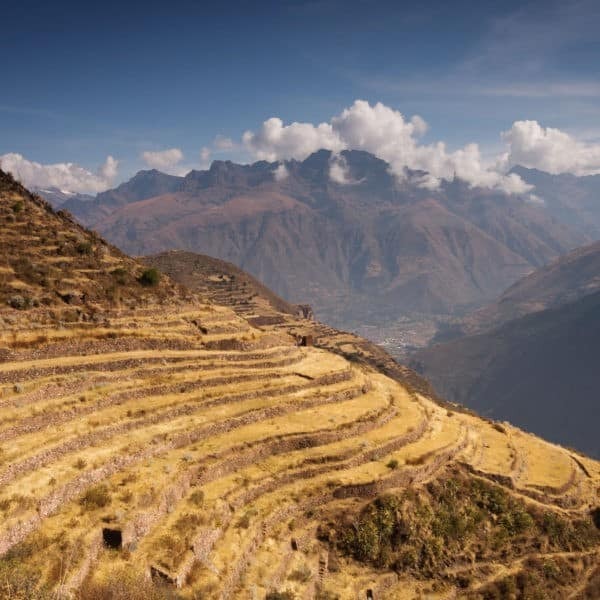 Together, we’ll explore magnificent Inca ruins like Choquequirao, Huchuy Qosqo and Espiritu Pampa which often get lost in Machu Picchu’s shadow. The demands of motherhood and running a business have certainly impacted our lifestyles, but we are still travelers, and we are still dedicated to taking you off-the-beaten track to explore the Andes on unique, personalized journeys, creating memories that we hope will stay with you forever. Trekking is our passion, and we can’t wait to share it with you! Off-the-beaten track travel experiences connect you with the REAL Andes. Truthful, transparent and ethical operations. We deal with everyone with integrity. We engage with and contribute to positive community development. To be a responsible and creative leader in the Peruvian tourism industry, designing and operating innovative, sustainable treks and tours that resoundingly demonstrate the positive impacts of ethical best practice. Apus Peru Adventure Travel Specialists provides well-designed tours that connect travellers to Peru and its people, creating authentic, unforgettable travel experiences. We provide tours for people of varying ages and fitness levels that want to experience Peru within a range of comfort zones. 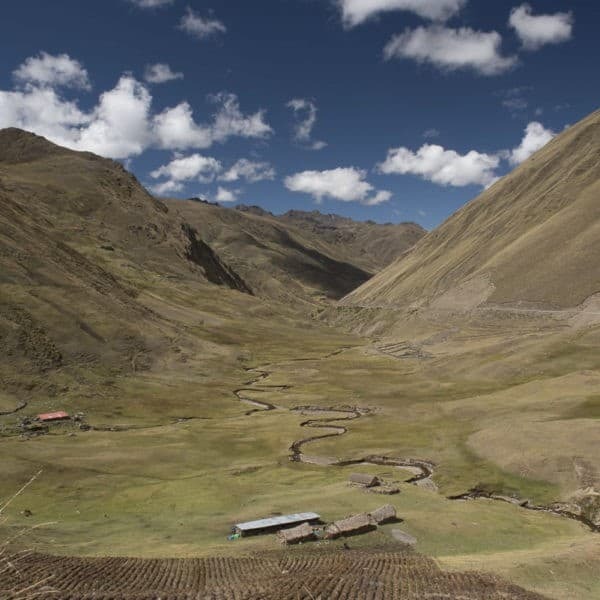 Apus Peru practices sustainable tourism, and appeals to the ethically conscious traveler. We care for the environment, our workers, and the local people, and constantly strive to improve our operations and services through self-evaluation, innovation and creativity. In the pursuit of fair and responsible profit, we create and nurture a healthy and enjoyable working environment, in which our employees are fairly compensated and their work valued. We encourage our entire team to respect the customer and the quality of the service we provide.